I want my community college to not just be in the community but of the community. By that I mean omnipresent and responsive and seen as a leader in workforce training and economic development. I believe ACC is doing that through our partnerships with the Burlington Housing Authority, with Goodwill Industries, with Junior Achievement, with UNC-Greensboro, Elon University, Guilford College, N.C. A&T, and with private business evaluating apprentice programs for high school students. My experience at NC State’s College of Education—and what it taught me about leadership—has been invaluable in keeping me focused on relationship building in the now, and the dividends it can pay in the future. My instructors at the College of Education excelled in instilling in me the key qualities of an effective leader. Those qualities include strong collaboration and relationship-building skills. Both are critical to understanding a community college’s service area, its populations, its needs, and then delivering community-based education. Students who are coming into the College of Education should think of the experience as a banquet, because in a large way it is with so many courses, forums, panels, seminars, discussion groups available. Drink it all in, sampling that which might take you outside your comfort zone. Learn from others who don’t look like you, think like you, believe as you do. The community college student population is an extremely diverse lot, quite different in many ways from those attending 4-year institutions. Community college students bring rich life experiences to the table, even as they juggle jobs and family obligations. And so many of those students are the end-product of a community college’s mission: Developing a workforce to serve a diverse 21st century economy. To lead in that environment requires keeping an open mind, believing in what we do and utilizing a strong set of skills to address the numerous challenges and opportunities we face daily. 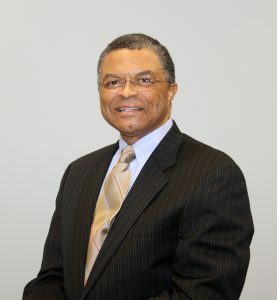 Dr. Gatewood is a higher education administrator with over 30 years experience serving as a community college and university leader. During his first year of service at Alamance Community College, he secured $15 million in local funding to build the Advanced Applied Technology Center, a state-of-the-art facility to house the College’s leading technical programs. 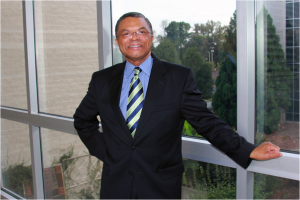 Under Dr. Gatewood’s direction, his college partnered with UNC-G to establish a bachelors of nursing program. In addition, Dr. Gatewood’s many initiatives smoothed the education pathways of students in his service area to matriculate more seamlessly through high school, community college, and university or into the skilled workforce.